What has been happening at the RoboBrrd HQ lately? Mainly preparing kits and updating webpages. We ordered some parts last week, and now we are waiting on the boards to return. In the meantime, we are printing pieces! Above you can see quite the party that is happening inside of the 3D printer. 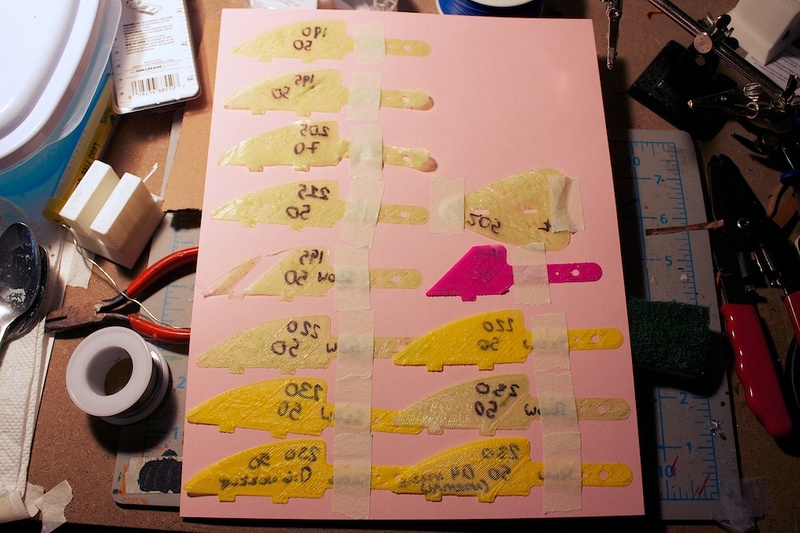 At that moment, it was printing the first layer of the feet pieces! 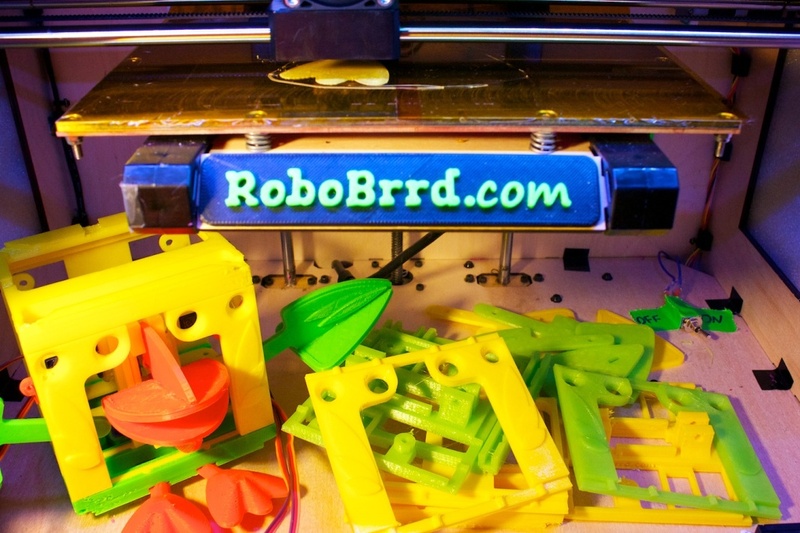 There is a RoboBrrd below that was printed in ABS, and beside it are new pieces that are printed in PLA. It took a bit of trial and error to re-calibrate some of our print settings to work with PLA. The pieces in the end are the same, with the added bonus of a shinier surface finish! Right now we have two colours- golden yellow and a nice pale green. Two great colours for a RoboBrrd. That’s all for now, we have to go and recharge our batteries.